A former employee with the U.S. 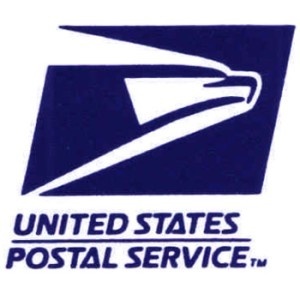 Postal Service has admitted that he stole 2200 GameFly games over a six-month stretch in 2008. Reginald Johnson of Germantown, PA, was a mail-processing clerk who unloaded trucks at the processing and distribution center is Philadelphia, PA. Apparently the center is a bit lax in the ol' oversight department, because for at least six months and probably longer, Johnson was helping himself to a veritable buttload of videogames people had ordered through the GameFly service. Federal authorities said Johnson swiped 2200 games between April and September 2008, but the Postal Service's Office of the Inspector General actually began receiving complaints about missing GameFly orders in Philadelphia as far back as late 2007. In September 2008 the post office conducted a sting operation using "test mailings" and determined that Johnson was in fact the notorious Gameburglar. When the obviously elite federal agents on the case tried to arrest Johnson later that day, he somehow managed to elude them in the parking lot and "sped off" in his SUV. His career as a getaway driver was short-lived, however; he crashed the thing soon after and was busted trying to complete his escape on foot. A duffel bag he was carrying at the time contained 81 GameFly mailings, while his vehicle contained a backpack with another 79 GameFly games, along with five Nintendo Wii Sport packages, three Wiis, a PlayStation, various controllers and some GameStop receipts. Authorities estimated the value of the games stolen by Johnson at $86,000. Sentencing will take place on January 13, at which time he's expected to be given between 12 and 18 months in the slammer.